9 Gorgeous FREE Patterns Are Now Available! We are very excited to share many beautiful FREE patterns with you! Many of these collections just started to show up in quilt shops, so you can buy fabrics and make the same exact quilt. If you are having a hard time finding our fabric, please search online with keywords “Lecien fabrics” and “desired collection name” to find out who carry the fabrics near you. 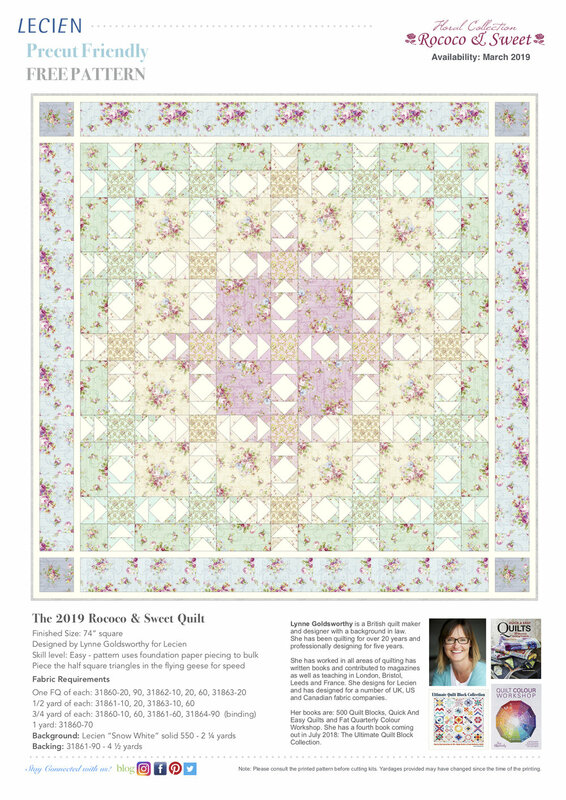 If you are a shop owner, you are welcome to use our FREE patterns to sell our fabric by giving away the printout or making quilt kits to promote the collection. You can go to our “FREE Patterns” page to glance at everything. 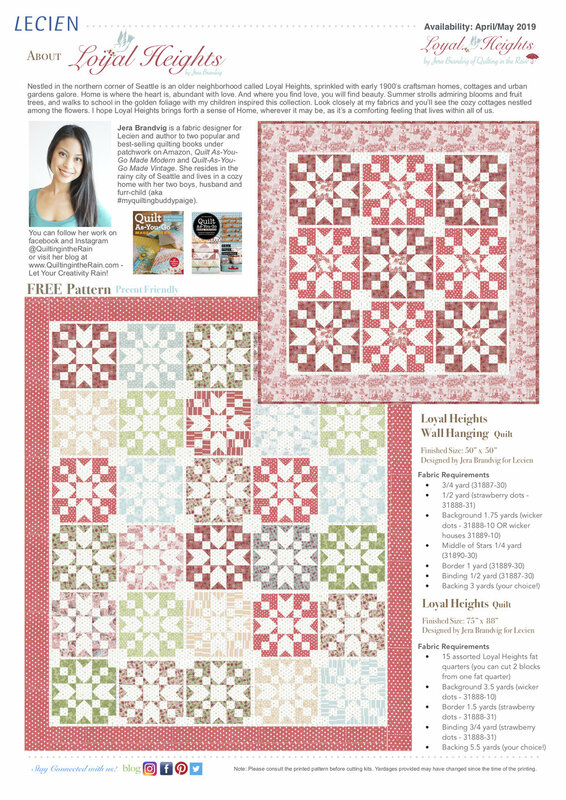 We hope you enjoy making quilts using our beautiful patterns designed by talented quilters. Note: If you are making the quilt using our free pattern, make sure to open the instructions first and then check the fabric requirements. Sometimes the pattern/fabric requirements are updated since the time overall page of the collection was created. Thank you! Want to receive our exclusive news and updates? Join our mailing list and you'll be the first to know the latest. We respect your privacy and only send you our most important news. Copyright ©︎ 2017 Lecien Corporation All rights reserved.